Incepted in 2001, we “Sspm Systems & Engineers,” are reputed manufacturer, exporter and supplier of reliable range of Granulation And Solid Dosage Equipment and Packaging Line Equipment. Located at Ahmedabad (Gujarat, India), we have constructed a huge infrastructural base that has helped us in gaining tremendous success in this domain across the globe. The infrastructural base comprises various well-equipped units such as procurement, manufacturing, quality testing, R&D, warehousing & packaging and sales & marketing. The work in these units is carried out under the direction of highly experienced professionals. Our manufacturing unit is equipped with advanced machinery and technology that assists us to undertake ample orders of clients. In addition to this, we mostly export products to Middle East, Saudi Arabia, Africa, Kenya and Bangladesh. Keeping in mind international quality standards, we manufacture products with high precision using high grade components and innovative technology. Components used in the manufacturing process are procured from trustworthy vendors of the market. The entire manufacturing process takes place under the supervision of quality controllers. These products are highly demanded among our clients due to their incomparable features such as high performance, easy installation, low maintenance, hassle-free functionality and longer working life. The entire product assortment can be availed in various technical specifications in order to cater varied requirement of various industries at nominal price. Moreover, our timely delivery, client-centric approach, crystal clear business dealings and strong track record have given us a reputable place in this sector. Under our Deputy Marketing Manager, Mr. JJ Shah / Mr. Dhaval Shah (Partner), we have possessed the capacity to indulge the exact needs of our important clients in the most effective way. We have additionally indulged an enormous client base the country over, owing to his extraordinary administration abilities and creative business thoughts. Manufacturing and Trading of Liquid Filling, Packaging and Labeling Machinery, Pre Fill, Syringe Machine. Mr. N.K. Patel, Mechanical Engineering, Over 18 years in Fabrication of Vessel & Machinery in Pharmaceutical and Chemical Industries. Mr. Dhaval Shah, Electronic Engineer, Over 18 years in Pharma/Food Machinery, Automation & Electrical Panel Design. Holding deep insight of the industry and in-depth knowledge of the machines and equipments, offered by us, these professionals work dedicatedly to help the organization reach the pinnacle of success. Our procuring agents source quality material from reliable vendors who are known for providing quality products. We have technicians who are well aware of operating the high-end machines in a systematic manner. Our quality analysts rigorously check the machines and plants to maintain industrial standards of quality. Moreover, backed by our sales and marketing executive, we have been catering our high grade machines and plants to our clients based globally. We are known to be one of the leading manufacturers, exporters and suppliers of this impeccable range of Pharmaceutical Packaging Machines. To live up to this reputation, we engage in the utilization of high grade raw materials and modern machines, as per the set industry norms and guidelines. This ensures the product’s performance and longer service life. In addition to this, the range is delivered in the timeliest manner and is priced at a market leading rate. Our highly skilled and experienced team of professionals, are recruited on the basis of their ability and willingness to perform. These professionals help us in generating greater productivity and attaining several of the firm’s predefined goals and targets, in the most dedicated manner. 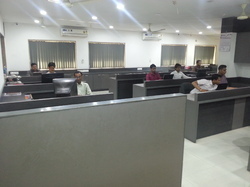 To keep them at par with the ever changing market, the professionals are regularly trained. In addition to this, the professionals are sorted into a number of units, in order to manage the firm’s operations in the smoothest possible manner.